Smart Media Converter is the PUP that uses misleading techniques to prevent removal. Use Reimage to locate malicious components and get rid of them faster than with uninstall instructions. A full system scan blocks virus reappearance and prevents traffic to malicious domains. How can Smart Media Converter hijack my computer? How to remove Smart Media Converter from my system? Smart Media Converter (also known as SmartMediaConverter) application may initiate unwanted activities behind your back and display various advertisements. Don't worry, this program can hardly pose you any threat, however, it has many flaws. Smart Media Converter is a program that helps to convert audio and video files. At first, it may seem like a reliable program, however, after a while, you may be completely annoyed by it. You can choose from two versions of this file converter. You can buy it and avoid all the unwanted advertisements, or you can download a free version. But, as we have mentioned above, the free version is supported by advertising, therefore, don't be surprised if you may be flooded with random ads. 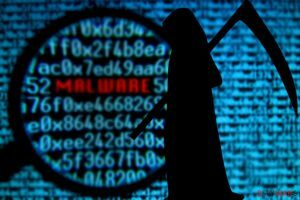 Moreover, Smart Media Converter virus may also act as a tracking cookie; it may track your software, hardware, and even your browsing activities. Usually, this information is used for commercial reasons, nevertheless, we can not guarantee that it will not be used for wrong reasons. Usually, people download this application directly from its official website. However, you may add the ad-support version of Smart Media Converter without even noticing it. We have noticed that this application may travel bundled with other free programs. Because internet users may experience Smart Media Converter ads, this program is categorized as an adware. In order to protect your computer from unwanted advertisements or unwanted intruders (potentially unwanted programs, adwares, etc. ), you should carefully check every single program that you need to install. Select advanced or custom installation method and attentively follow the entire installation process one step at a time. Along the way opt out of any doubtful attachments. Although Smart Media Converter is not a malicious program, the free version of this application can be very annoying. 2. When in the Add/Remove Programs/Uninstall a Program, look for recently installed/unfamiliar applications, such as Smart Media Converter, PureLead, Search Assist, Zombie Alert, Wajam, Coupon Server, Lollipop, HD-Total-Plus, UTUobEAdaBlock, PriceMeter, Supra Savings, weDownload Manager, Safe Saver, Lollipop, Software Updated Version, Video Player, Convert Files for Free, Plus-HD 1.3, BetterSurf, Trusted Web, PassShow, LyricsBuddy-1, PureLeads, Media Player 1.1, RRSavings, Websteroids, Savings Bull, HD-Plus 3.5, Re-markit, etc. 2. Here, look for Smart Media Converter, and other unfamiliar entries. This entry was posted on 2014-05-20 at 07:36 and is filed under Adware, Viruses. You can quickly scan the QR code with your mobile device and have Smart Media Converter manual removal instructions right in your pocket. How did you remove Smart Media Converter?